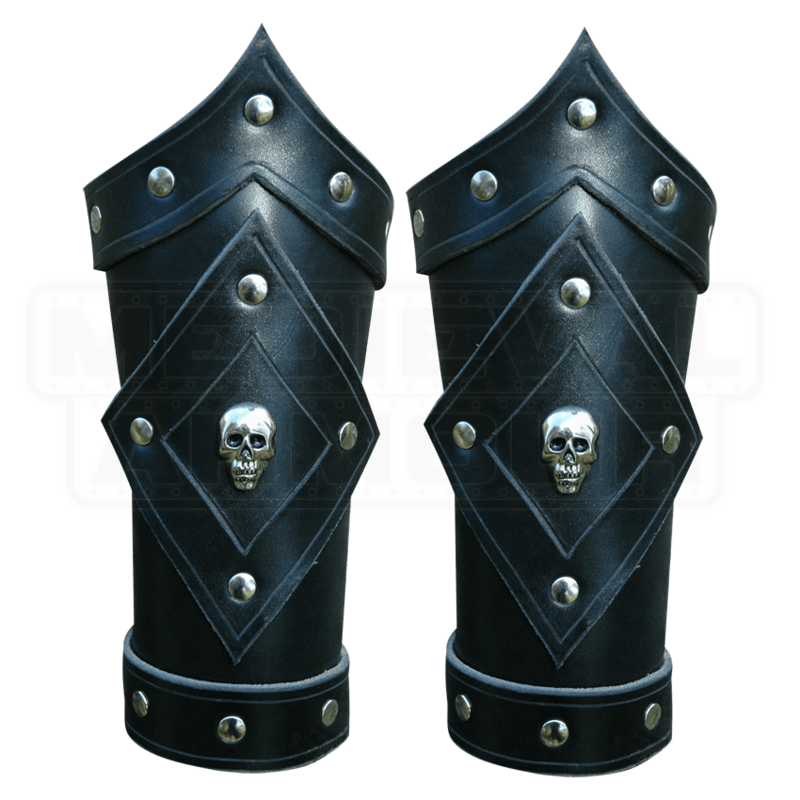 Our Dead Mans Arm Bracers will be a fine addition to any cut throat pirates gear. You have gotta protect those arms, so why not do it in style? 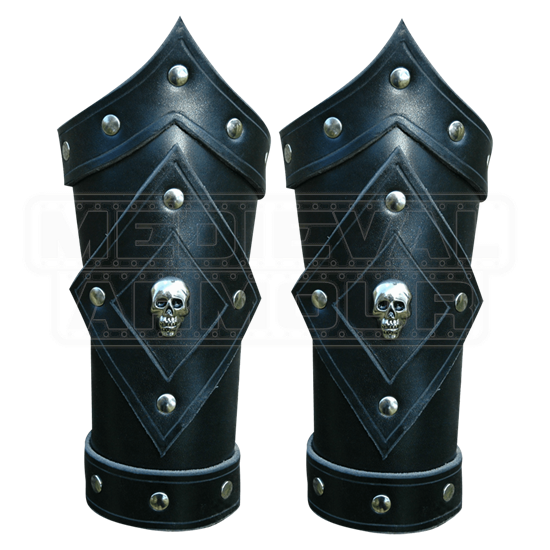 These bracers have top and bottom trim with a diamond shaped piece of leather riveted on to the center of the bracer, which a skull adorns. It is available in different color combinations, with steel hardware only. The bracers have steel speed lacers which make lacing them up a cinch. They are sold as a pair. When ordering, the Color selection is for the color of the arm bracers. The Accent Color selection is for the color of the trim at the top and bottom of the bracers as well as the diamond shaped accent in the middle of the bracer. Ok first off, these are great high quality bracers for a great price. But just so you know "black with blue trim" is not like the picture shown that is black r know with a light blue trim on the edges it is black and the whole leather diamond piece is blue. Would have rather just got the all black I guess.